Don’t we all agree that technology has redefined the way children spend their time these days? Most of their free time is spent playing video games, surfing the internet, watching videos on their smart phones, iPads, or chatting with their friends on Whatsapp/social media. It is hard to even imagine kids doing anything ‘old fashioned’. 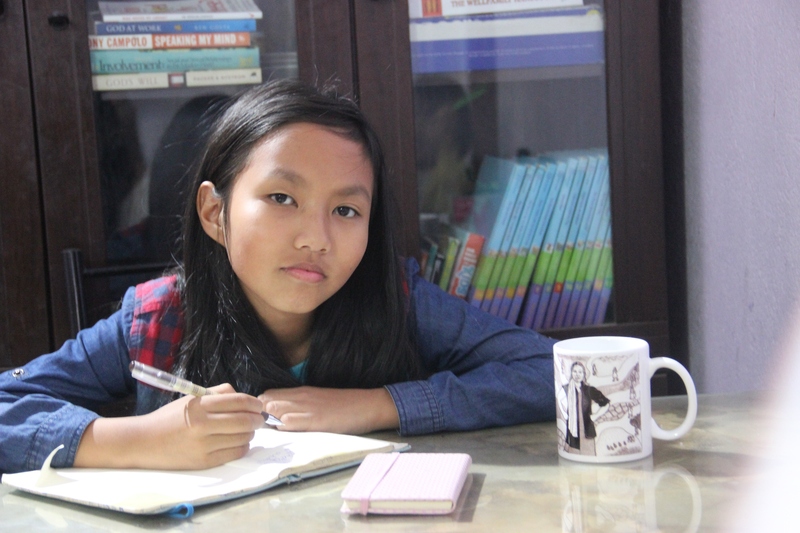 So it was a pleasant surprise when we met two 11-year-old girls from Nagaland, who have recently launched a book called ‘Suki’s Magic Box’. The book serves as a graphic narrative inside a ten-year-old’s mind (that’s what they told us!). So let’s have a chat with these talented girls behind the book – to understand what the book is all about, and more! 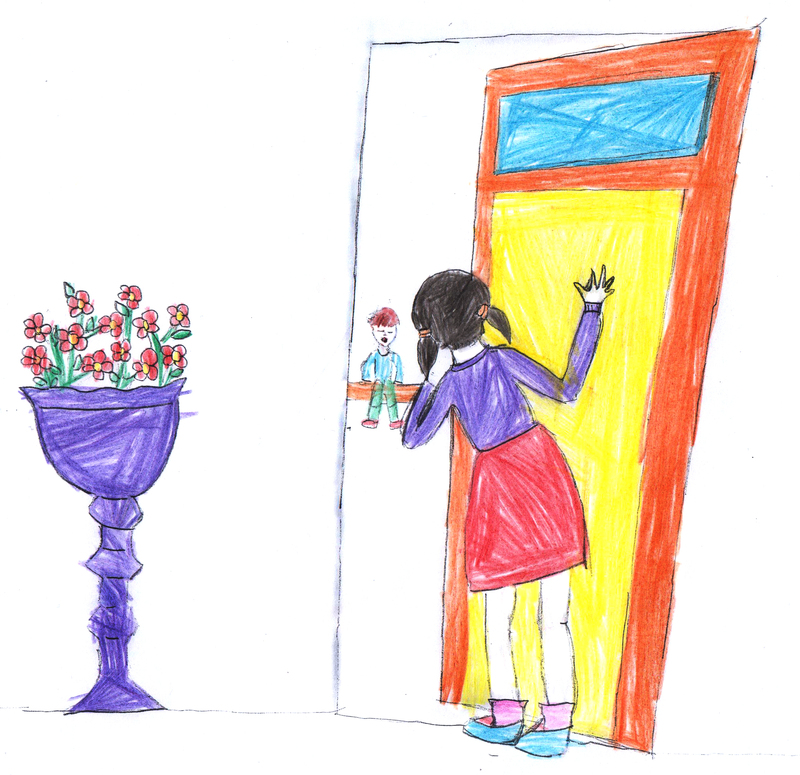 Yimyanglula Longkumer – 11 year old artist and illustrator of the book ‘Suki’s Magic Box’. Hello Sochumlo and Yimyanglula! Tell us a bit about yourselves. Sochumlo : My name’s Sochumlo Suki Ezung. I turned 11 very recently and I study in standard 5 at G.Rio school (Nagaland). I have loved writing short stories since I was seven; but I didn’t start writing because I wanted to publish a book – it was mostly because I enjoy it and it’s my hobby. Yimyanglula : My name is Yimyanglula Longkumer. I am 11 years old and I also go to the same school as my friend Suki. I am also in 5th standard. I have five best friends. They are Tiasangla, Vimelino, Jandeno, Semeno and Sochumlo. Who/What has inspired you, while working on the book ? Sochumlo : It is the simple and ordinary things that inspires me to write. For example, one of my favorite stories in the book was inspired by the simple sight of a glass vase with stones inside. I’m also deeply influenced by my family, my friends, and my pets. Yim : To be honest, the biggest inspiration (to work on the book) came because I wanted to illustrate for my friend Sochumlo – because I really liked her stories! That inspired me to illustrate her stories. I felt that her writing can be made more colorful with drawings. Sochumlo: Suki’s Magic Box is not an ordinary book. It’s a book that talks about the fantasies that play out because of the imaginative power of a ten-year-old. To adults, it gives a peek into the various questions that arise in the mind of a ten-year-old girl. It also teaches us important morals that are etched within each short story. Yim, why did you decide to work on Suki’s Magic Box? Yim: I ended up doing illustrations for ‘Suki’s Magic Box’ because Suki asked me to illustrate. At that moment, I felt equally happy and sad. I had almost come to a decision to refuse to do it at home, but just then Suki and her parents came to my house and asked my parents if I could draw for the book and they said ‘yes’. 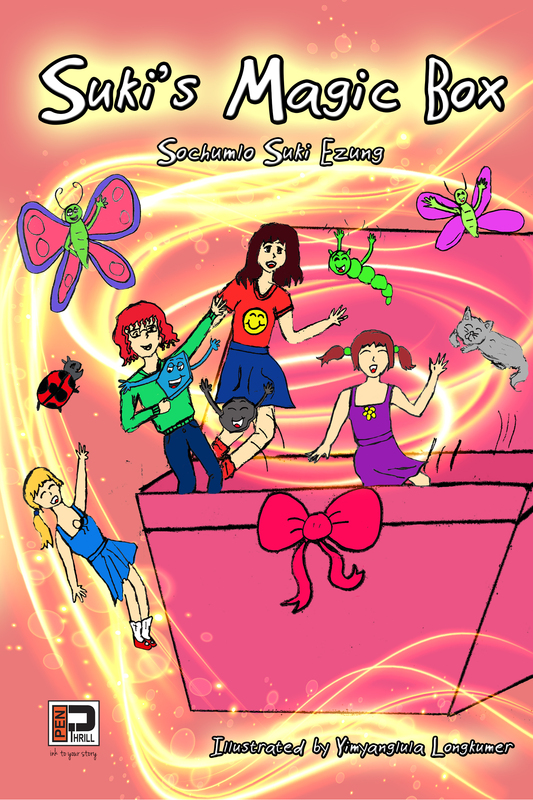 I think my drawings helped bring the characters of Suki’s Magic Box to life. Yimyanglula’s illustration for ‘Suki’s Magic Box’. How long did it take you girls complete the work on this book? Sochumlo : I finished writing some of the stories in one sitting, whereas some of them took almost a month to finish. As a student, I don’t have enough free time as I would like to have – to write my stories. So, I try to use whatever time I get to write. I also enjoy reading, and I have to divide my time between reading and writing. Yim : It took me almost two months to finish the illustrations. So Yim, when and how did you get started as an illustrator? 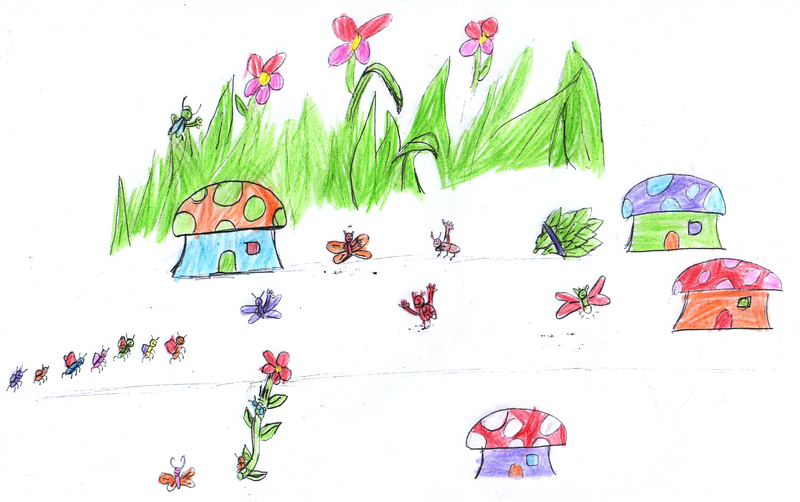 Yim : I have been creating illustrations since Class 1. I am an active and lively girl but I don’t like to share most of the things so I kept it to myself. But then keeping it to myself was hard so I tried writing but that didn’t work out because people would understand. Sometimes I wished that I had a secret language that nobody understands but I knew it was very hard. One day, my mom asked me what I was thinking about and I tried to explain how I was feeling. After a long talk, my mom asked me to give drawing a chance to depict my thoughts. That way, no one would really understand. So, from that day I started to express myself through drawings. I think my mom is my biggest inspiration because she gave me the idea to draw in the first place. She also bought me many pictures by famous artists to learn from. 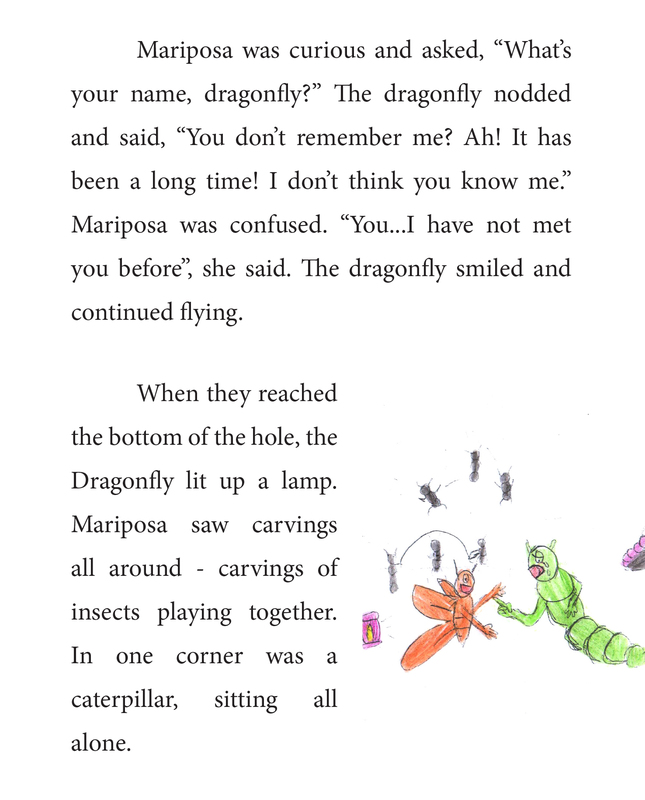 An excerpt and illustrations from the story of the ugly caterpillar | Suki’s Magic Box. Book Cover | Suki’s Magic Box.